The sanctuary will be closed to visitors the week of October 1, 2018 due to maintenance work. Please plan your trip accordingly. Dr. Richard Brewer, an ornithologist, author and Professor Emeritus of Biology at Western Michigan University acquired Brewer Woods in the early 1970s for ecological study and protection of the forest. Prior to his ownership, the sanctuary had been logged in the 1960s by the previous landowner who harvested interior trees greater than 12 inches in diameter. Despite the logging disturbance, the important ecosystem functions of the forest remained intact. Today, the forest canopy is composed of those trees remaining after the timber harvest. Dr. Brewer and his wife Kay T.Takahashi chose to donate Brewer Woods to MNA because of the organization’s long history of protecting land and its dedication to defending nature sanctuaries against encroachments. Dr. Brewer plans to remain involved with the sanctuary. Brewer Woods Nature Sanctuary consists of quality southern mesic forest. 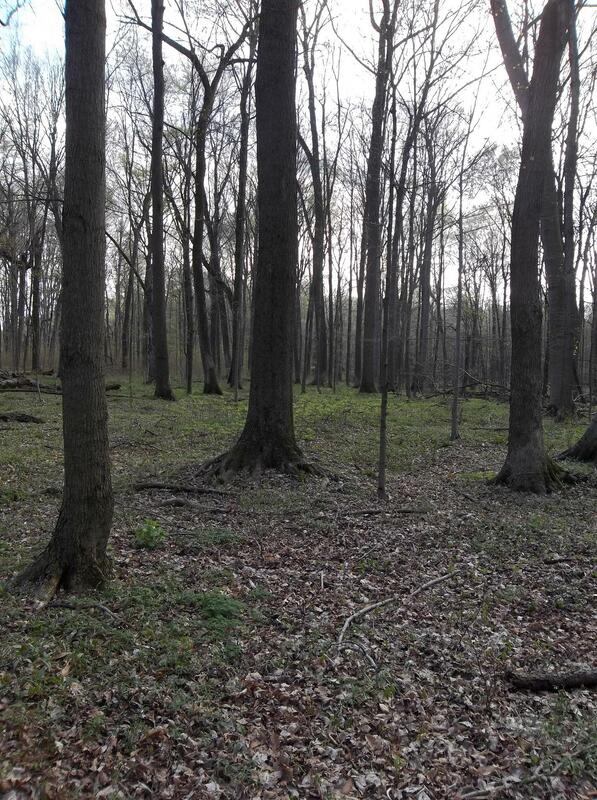 Brewer Woods is almost entirely dominated by beech-maple forest and exhibits pit and mound topography, which results from wind-throw of canopy trees which results from shallow tree rooting that causes the soil to consist of shallow outwash over clay-rich glacial till. The end result is numerous shallow pits and low mounds that date back over centuries. On the west side of the sanctuary, there is a lower elevation area of forest which includes species typically found in southern and northern hardwood swamp. There is also a vernal pool, which extends from adjacent land to the west. The sanctuary is in the the Portage River watershed, which flows to the St. Joseph River. Brewer Woods provides ecosystem services, such as carbon sequestration, ground water infiltration, and it protect an example of the regional biodiversity. The sanctuary contains a beautiful array of spring ephemeral wildflowers that blanket the forest floor and offers an impressive sight to visitors. The best time to visit is from late April to early June, when the wildflowers are in bloom and carpet the forest floor. The sanctuary offers space for parking and a loop trail. Parking is permitted along East R Ave. at the base of the driveway which is gated off to vehicles.